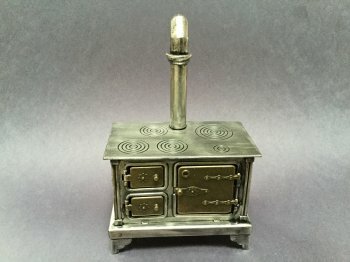 This is a great vintage stove for your dollhouse! It is all metal and painted to look like pewter with brass doors. It is 4" long, 2 1/4" deep and 3" tall to the stove top. 6" to top of stove pipe. A very pretty addition to your dollhouse kitchen!